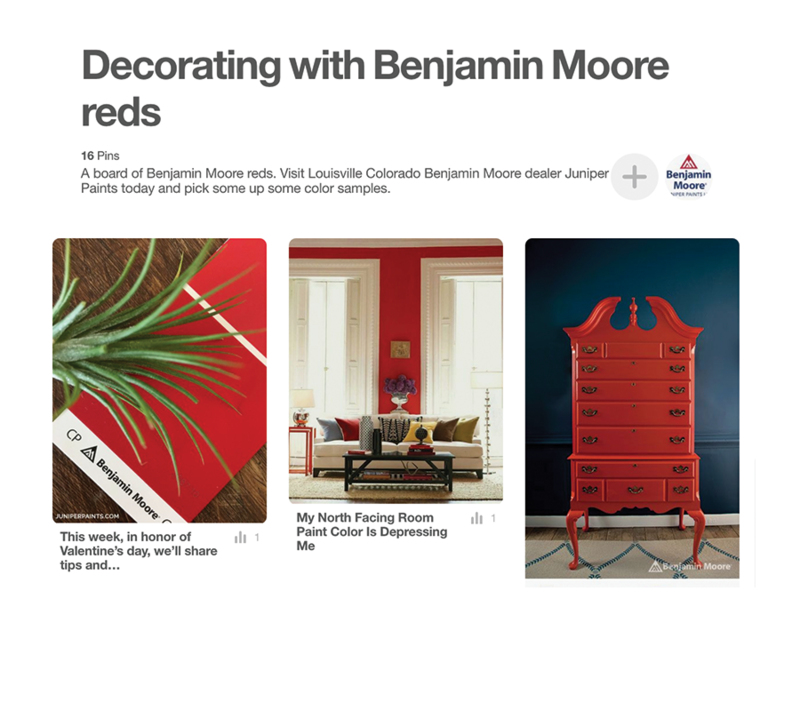 This week, in honor of Valentine’s day, we shared tips and ideas on how to decorate with Benjamin Moore’s reds. Benjamin Moore offers over 30 different shades of red, ranging from deep and muted burgundies (Country Redwood, HC-183) to bright and glorious barn reds (Neon Red, 2087-10). 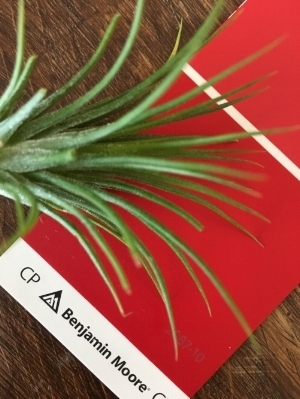 The color red is definitely at the top of Benjamin Moore’s list with Caliente (AF-290) being selected as the 2018 Benjamin Moore color of the year. The color displayed in the chip below is Benjamin Moore Neon Red (2087-10). Like most vibrant colors, this color will look gorgeous framing large windows, built-in bookshelves or behind frames and other wall accents. Try it for yourself! Come get a color sample in your local Benjamin Moore retailer in Louisville, CO today! Curious about the process behind selecting one single color out of the 3500 colors in the Benjamin Moore portfolio? We did a little digging and here’s what we found. First of all, the process of researching and identifying a color is a year long process. Benjamin Moore has a team of seven Color & Design experts who travel extensively and attend shows in dozens of countries to identify emerging color trends. Come get a color sample in your local Benjamin Moore retailer in Louisville, CO today!e today! Here are the 10 best selling red paint colors: Cranberry Cocktail, Dinner Party, Ladybug Red, Caliente, Neon Red, Ruby Red, Red, Proposal, Audubon Russett, and Pleasant Pink. Come get a color sample in your local Benjamin Moore retailer in Louisville, CO today! Muted colors appear darker because they contain black tint. While red is often used as an accent color and to make bold design statements, muted reds such as Cascabel Chile (CSP-445) can be used to convey elegance and tranquillity. 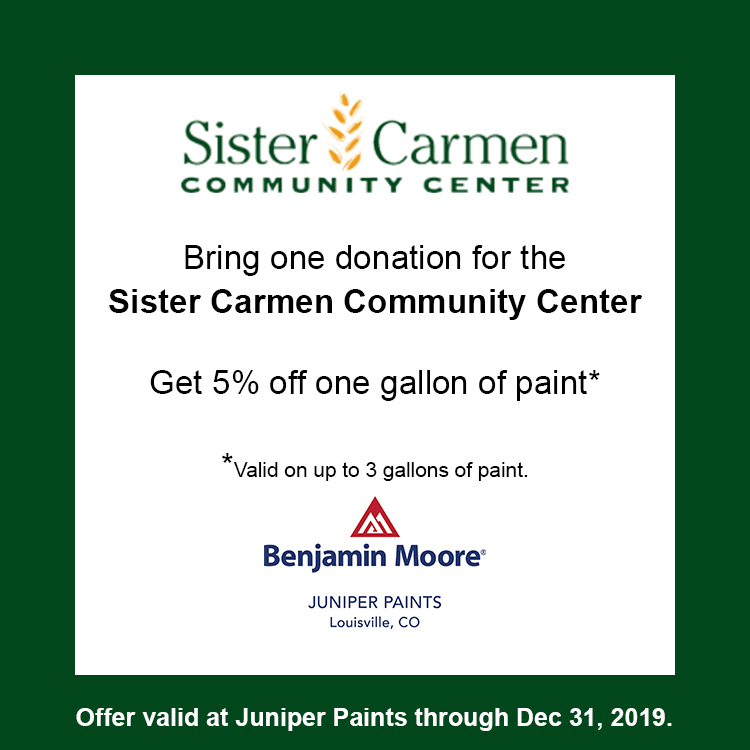 Come get a color sample in your Louisville, CO store today at your local Benjamin Moore dealer Juniper Paints. Visit our dedicated Pinterest board! This week, in honor of Valentine’s day, we are sharing tips and ideas on how to decorate with Benjamin Moore’s reds. Visit our dedicated Pinterest board for more ideas on how to use reds for interior and exterior paint schemes and furniture accents. Chalkboard paint is a specialty paint that dries to chalkboard finish. You can apply it to a wide range of surfaces as long as you prepare them properly and is often used in residential painting projects.